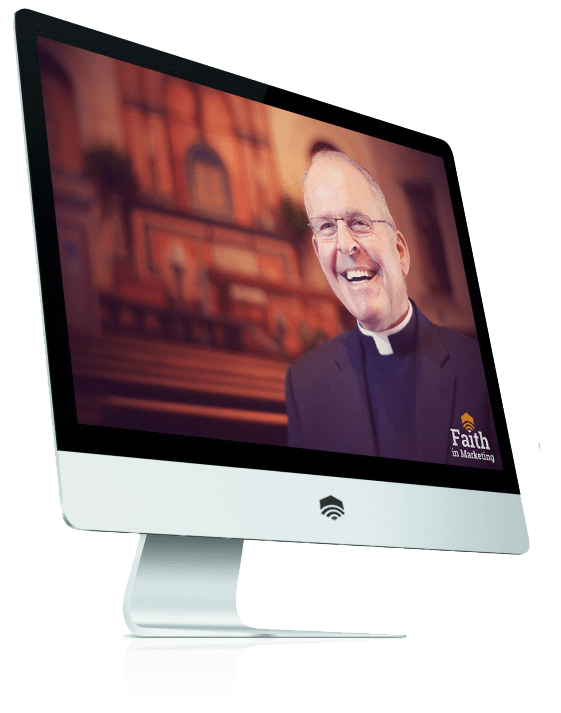 We are a team of engaged Catholics providing parishes, parish schools, and faith-filled organizations with communication that’s modern, and in the spirit of the new evangelization. We consistently deliver top-notch video, mobile websites, apps, direct mail, printing, banners and other services for communities like yours. Our work is faith-filled and 100% local. We shoot and edit inspiring videos that make your website and social media pages personal, friendly, and inviting. We create modern websites that are unique, attractive, and look awesome computers, tablets, and phones. We include a beautiful and easy to use app interface with every new website we develop — no additional charge. Ever. Eliminate hours upon hours of labor! Ask us to design, print and send your mailers to homes and donors. Quality organizations rely on our top-notch graphic design and printing to effectively communicate their important messages. We provide a solid marketing strategy for your organization from brand development to executing appeals/campaigns.